Dr. Allen is a diplomate of the American Board of Sleep Medicine and research associate in neurology at the Johns Hopkins University. He founded and co-directed the Johns Hopkins Sleep Disorders Center and jointly founded with Dr. Earley the center for the study of restless legs syndrome (RLS) at Johns Hopkins University, an RLS Foundation certified Quality Care Center. In addition to continuing at the Johns Hopkins University, his research and active clinical practice in sleep medicine focused on restless legs syndrome, he also teaches at the Johns Hopkins University and serves as a field editor for the Journal of Sleep Medicine, and on the editorial board of Sleep, and also that of Movement Disorders. He is a member of the Scientific and Medical Advisory Board (past chairman) of the RLS Foundation, NIH CSR Review Panel, the American Academy of Neurology, International Restless Legs Syndrome Study Group (Chairman) and World Association of Sleep Medicine (secretary). Dr. Allen has authored or co-authored over 100 peer-review journal articles, book chapters and sections, editorials, reviews, and abstracts. He chaired and was first author on RLS definition consensus report from a workshop at NIH. Current research projects include Hypocretin, Histamine and Restless Legs Syndrome; Restless Legs Syndrome: epidemiology, quality of life, treatment evaluations; The Iron-Dopamine Connection; Response to Iron Treatment for Restless Legs Syndrome; and Determining the Genetics of Restless Legs Syndrome. Dr. Bainbridge serves as a clinical pharmacy specialist at the Anschultz Outpatient Pavilion's Neurology Clinic, an extension of the Neurology Residency Teaching Program at the University of Colorado Denver. She is also a professor in the Department of Neurology at the university's School of Medicine, and teaches at the Skaggs School of Pharmacy and Pharmaceutical Sciences, where she was awarded Professor of the Year for three years in a row (2010-2012). Bainbridge manages patients with neurologic disease states such as epilepsy, Parkinson disease, multiple sclerosis,migraine and restless legs syndrome. She is currently involved in research projects funded by the CDPHE using marijuana. In her recent past she has had projects funded by the NIH, spanning subjects such as epilepsy, multiple sclerosis and neuroprotection trials in Parkinson disease. Jacci is a former Chair of the RLS Foundation Board of Directors, and currently serves as a member of the Board. Dr. Buchfuhrer is an attending staff physician at Downey Regional Medical Center, Presbyterian Intercommunity Hospital and Long Beach Community Hospital in Downey, California. He started a sleep laboratory at Downey Regional Medical Center in 1983 and then became a Diplomate of the American Board of Sleep Medicine. Dr. Buchfuhrer became interested in RLS in about 1992 and has developed a large outpatient RLS practice. He has served on the Medical Advisory Board of the RLS Foundation from 1998 to 2005. Dr. Buchfuhrer has written several publications on RLS including the patient book RLS, Coping With Your Sleepless Nights sponsored by the American Academy of Neurology (AAN), a handbook for doctors on RLS and is currently working on his third book. Dr. Connor is a distinguished professor of neurosurgery, neural and behavioral sciences and pediatrics at The Pennsylvania College of Medicine. He also serves as the vice chair of neurosurgery research at the university, as well as the director for the Center for Aging and Neurodegenerative Diseases. His primary areas of research focus on understanding the cellular and molecular mechanisms by which cells regulate their iron status. Dr. Connor is an active member of the Brain Bank and Research Grant Committees on the RLS Foundation Scientific and Medical Advisory Board. Dr. Durmer is an adjunct professor at Georgia State University and the co-founder and Chief Medical Officer of FusionHealth, a healthcare workflow technology company dedicated to providing solutions for people with sleep disorders and sleep problems. Dr. Durmer's current work focuses on applying the neuroscience of sleep and circadian rhythm biology to workplace fatigue and well-being programs, as well as the use of technology enabled population sleep-health delivery systems. His past research spans from uncovering subcortical visual systems involved in blind sight, to developing the first standardized clinical interview tool for pediatric Restless Legs Syndrome. He served on the Medical Advisory Board of the RLS Foundation from 2006-2012, and currently serves as a member of the Pediatrics Committee on the RLS Foundation Scientific and Medical Advisory Board. Dr. Earley is a Professor of Neurology at Johns Hopkins School of Medicine, where he also co-director of the Johns Hopkins Center for Restless Legs, a certified RLS Quality Care Center. Dr. Earley is board certified in internal medicine, neurology and sleep medicine. Dr. Earley's research interests include RLS and sleep medicine, specifically the pathophysiology of RLS and revealing the value of various treatments. He is chair of the RLS Foundation’s Scientific and Medical Advisory Board and is an active member of the Foundation's Research Grant Committee. Dr. Koo is the director for the Yale Center for Restless Legs Syndrome, an RLS Foundation sponsored RLS Quality Care Center, as well as the chief medical director of Sleep Medicine at the Connecticut Veterans Affairs Healthcare System. Koo is an assistant professor of neurology at Yale University, and has been an active member of tasks forces and section committees related to the sleep-related movement disorders in the American Academy of Sleep Medicine. At the RLS Foundation, he serves as chair for both the Brain Bank Committee and the Medical Bulletin Committee on the RLS Foundation Scientific and Medical Advisory Board. Koo is board certified in both neurology and sleep medicine, and much of his research lies in those categories. His research on RLS and PLMS has included animal modeling, epidemiology and human genetics. Dr. Ondo serves as director of the Movement Disorder Clinic at the Houston Methodist Neurological Institute, a certified RLS Quality Care Center. Throughout his career, Ondo has written more than 250 articles and book chapters. A movement disorder specialist, he is board certified in adult neurology and sleep medicine. Ondo's research specializes in Parkinson's disease, essential tremors, the use of botulinum toxins in treating movement disorders, and restless legs syndrome. At the RLS Foundation, Ondo is an active member of the Opiates Committee on the RLS Foundation Scientific and Medical Advisory Board. Dr. Paruthi practices in St. Louis, MO, where she sees patients of all ages. She has a particular interest in sleep disorders of childhood –obstructive sleep apnea, insomnias, narcolepsy, and –of course –restless legs syndrome. Not only do her patients benefit from her extensive study; she is a teacher as well –as an adjunct associate professor of internal medicine and pediatrics at Saint Louis University School of Medicine and is board-certified in Sleep Medicine and Internal Medicine. Dr. Paruthi’s interest and energy extend to research pursuits as well, extending our understanding of sleep and its many disruptions and diseases. She is Co-Director of the Sleep Medicine and Research Center at St. Luke’s Hospital in St. Louis. She has contributed widely to activities of American Academy of Sleep Medicine (AASM) chairing sleep focused conferences, participating in task forces, serving on committees, including the Education Committee and national SLEEP meeting Program Committee. Currently she is on the editorial advisory board for Sleep Review: the Journal for Sleep Specialists, and recently joined the RLS Foundation Board of Directors. Dr. Poceta is a neurologist and sleep medicine specialist who focuses on neurologic sleep disorders such as restless leg syndrome, sleep walking and narcolepsy. He also diagnoses and treats general neurologic conditions such as insomnia and headache. 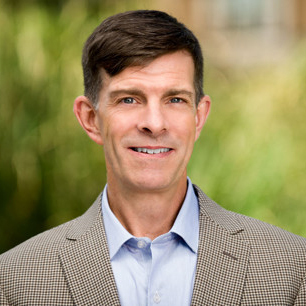 Dr. Poceta is an advocate of deep brain stimulation for Parkinson’s disease and a member of the Scripps Clinic Movement Disorder Center, where he sees a select panel of patients with Parkinson’s disease. In addition to his practice, he participates in clinical trials for restless leg syndrome and narcolepsy. He also conducts his own research in these areas. Dr. Poceta is the director of the RLS Foundation certified Quality Care Center at Scripps Clinic.